For the glazing, melt the remaining chocolate with the butter and the cream, cool down until thick, and cover the sides of the cake with it. Elvis Presley was born on the 8th of January 1934 in Tupelo, Mississippi. A good occasion to bake this pie!. Click on culinary calendar for more links between cooking and celebration. Melt 30 gram butter and mix with the flour, 25 gram sugar, yeast, milk, 1 egg and a pinch of salt. Knead well, allow to rise for half an hour. Roll the dough out into a circle, 10 centimeter bigger than the diameter of your round cake tin, and put the dough inside the tin. Allow to rise for another hour. In the meantime, bring the coconut milk to the boil, add the rice, the lemon grass and the lemon rind, and simmer for 4 minutes. Take off the heat and add the remaining sugar. Split the remaining eggs, add the egg yolks, beat the egg whites until fluffy and stir them in. Pour the rice mixture carefully on the dough. 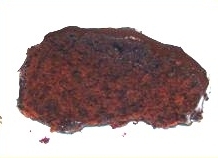 Cut the edges of the dough exactly along the sides of the oven tin. Bake 40 minutes at 180 degrees, cool for 3 hours. 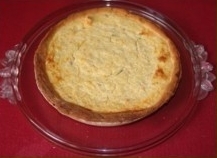 Rice pie is a traditional recipe from the southern part of the Netherlands, and it is called "rijstevlaai".